The BL-100 (G-161) is a small, untethered lander for benthic operations. It is hand deployable off small boats. Extended bottom time is possible. 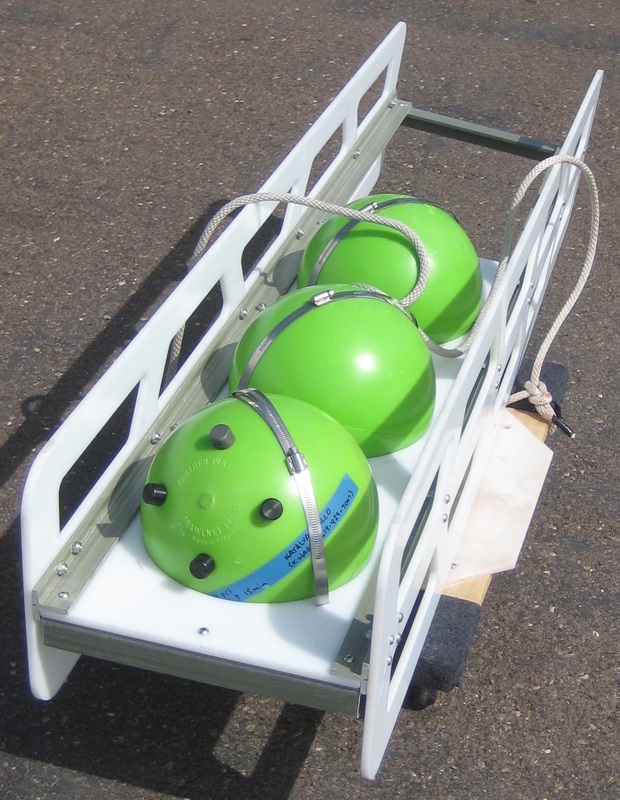 The BL-100 carries custom or commercial payloads, including a baited drop arm, the Seabird MicroSeaCAT, a SubAqua Imaging time-lapse digital camera and LED system, or the OpenCTD. Release options include the Edgetech BART acoustic release board. 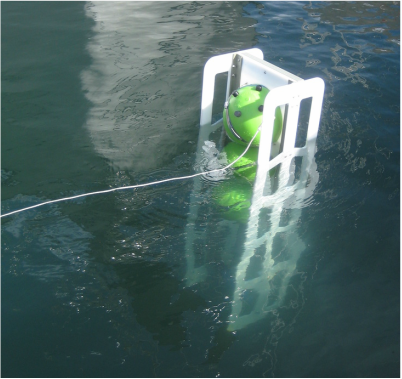 Fits the Global Ocean Design Beacon Board (G-122) to assist with surface location and recovery. Low cost/no cost ship time available with International SeaKeepers Society “Discovery Yachts”. Launch over the side with a wooden tip ramp. Uses bar bell weights for the anchor, locally sourced in any port ‘o call. Contact factory for custom requirements.